It is SO SO HOT today in Perth... Ughh. Wearing hair out is not an option. 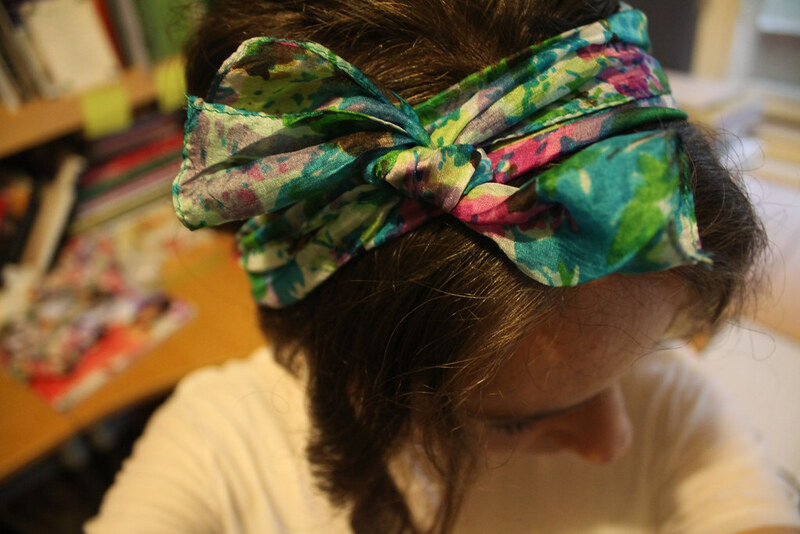 Thanks to my *ahem* slight obsession with silk scarves (or silk in general), combined with my hair's passion for the wild-whiplashed-out-of-control style, this is a hairdo I like to take advantage of regularly. Double-wrap a long thin scarf & finish with a knot or bow on top. I love this one - it reminds me of the H&M Garden Collection! 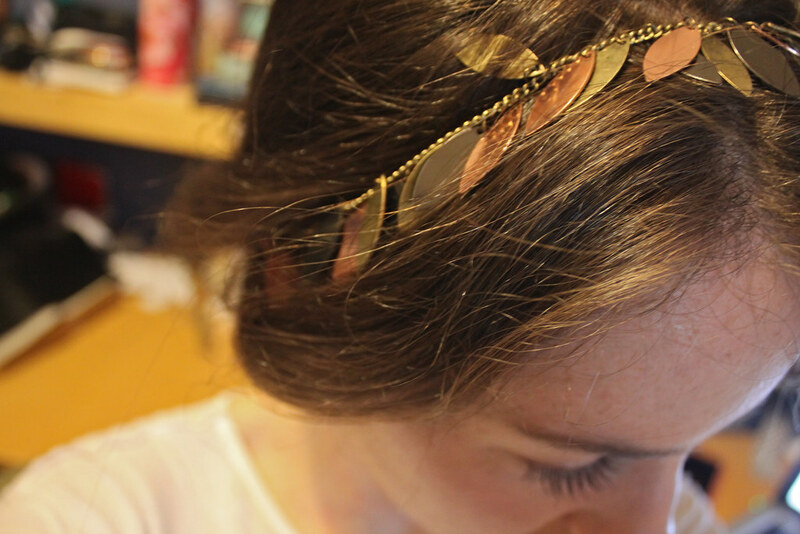 A basic headband from Lovisa for a girly girl. 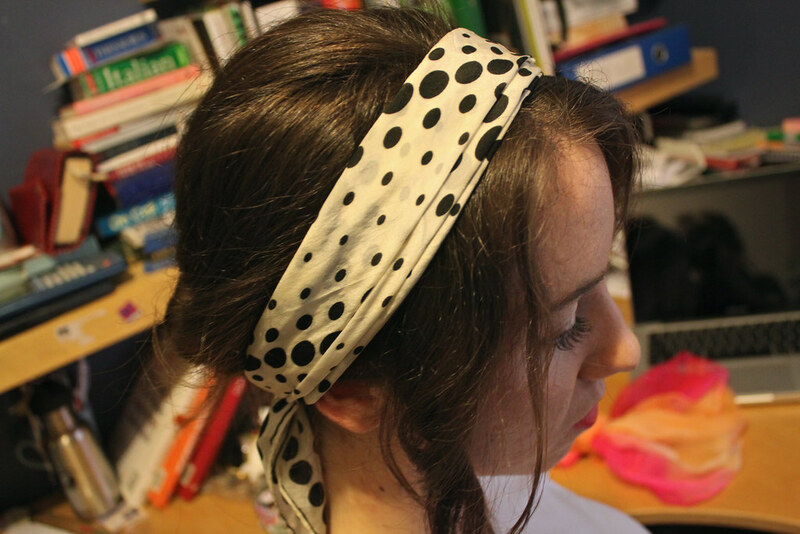 A little polka dot scarf can add a retro touch to a plain outfit. 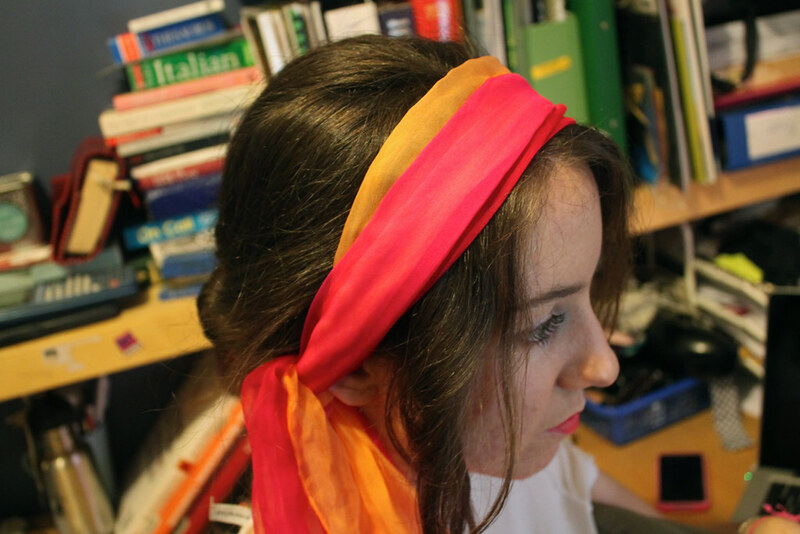 A bright hippie-style scarf for hot hot days! e.g. today. 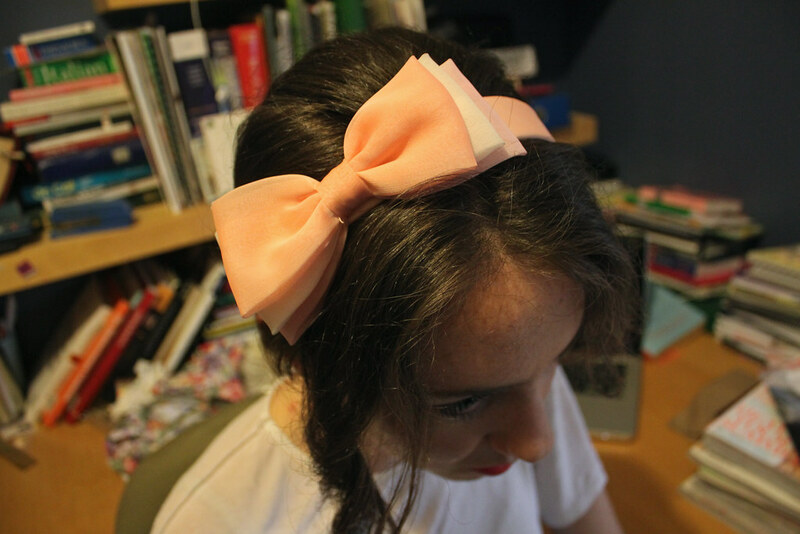 A more refined take on the head-wear trend. Any tips you have for keeping hair under control in rain, hail or shine? Bought some new sunnies today- I think it's time for a sunglasses post seeing as I have acquired 3 pairs over one Summer.. oops! Great to discover yet another fabulous Perth fashion and lifestyle blog! And yes, it is absolutely boiling here at the moment. I've been wearing my hair in a high pony this last week, and I'm sure it'll stay the same while this hot summer weather continues. I look forward to the sunglasses post!